Egypt's River Transport Authority decided on Sunday to halt navigation along the Nile, including cruise ships navigating between Aswan and Luxor, due to heavy winds and bad weather conditions. It also decided to halt navigation in Lake Nasser, including river transportation between Egypt and Sudan. The Alexandria Port Authority has said two major Mediterranean ports have also been closed due to bad weather. Alexandria and Dekheila ports were shut down on Sunday after the Egyptian Meteorological Authority recorded a rise in wave height and an increase in wind speed that could pose problems to maritime navigation. Authorities have closed the Lake Burullus port in the Nile Delta. 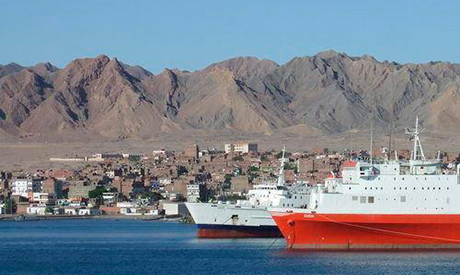 The Red Sea Port Authority also closed Sharm El-Sheikh Port on Sunday due to strong winds, high tides, and turbulent maritime navigation, according to a statement from the authority. Egypt's Meteorological Authority said the country is expected to witness dusty winds, rain and extremely cold weather in the coming days.